About Beer is a two-page article written to encourage you NOT to think about beer as some people have in the past and still do. For thousands (millions?) 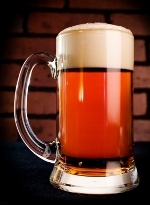 of Americans, beer is a yellow, foamy, cold beverage. It is a beverage to enjoy with a hot dog or pizza on a warm day. Actually, I like that, too. But there is so much more to discover and enjoy with beer today. I am neither a wine snob nor a beer snob. But I appreciate the variety of products available to us. I love to experiment with food and with beer and wine. Can one complement (enhance) the other? The answer is yes. That is really what this and the ﻿﻿﻿second page ﻿of the article is all about. 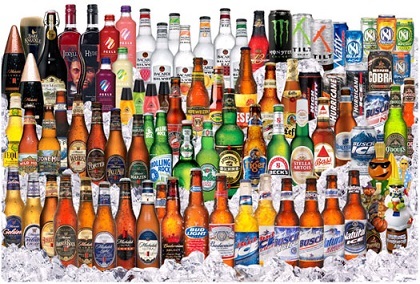 Many people automatically reach for the same beer time after time when making their purchase without even thinking about the beer or what foods they might choose to have with it. Too bad. 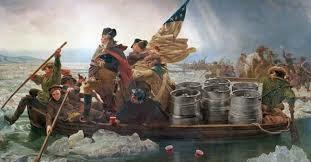 They are missing out on what can only be described as the "craft beer revolution." For those of us who have been lucky enough to have an eye-opening beer experience, we understand about beer today. It is a varied and flexible beverage. This craft brewing revolution has increasingly been transforming beer drinking habits. Craft brewing or micro-breweries now account for an increasingly significant percentage of the beer market ---and they are growing fast. I have been serving micro-beers and learning about beer from brew masters for many years in my restaurant. Fifty percent of my beer sales are now micros. Still, many people automatically order traditional American brews without even thinking about beer and the many options available. There are probably three reasons for this: One is price. Micro brews are usually a little more expensive. The other reason has to do with the fact that there are many variations of ale, lagers and hybrids, and with that, an almost overwhelming number of choices and that presents a marketing problem. To illustrate, the Brewers Association has compiled a list of the variations within the three general style categories and an explanation of each. The three styles are "ale," "lager," and "hybrid or mixed." 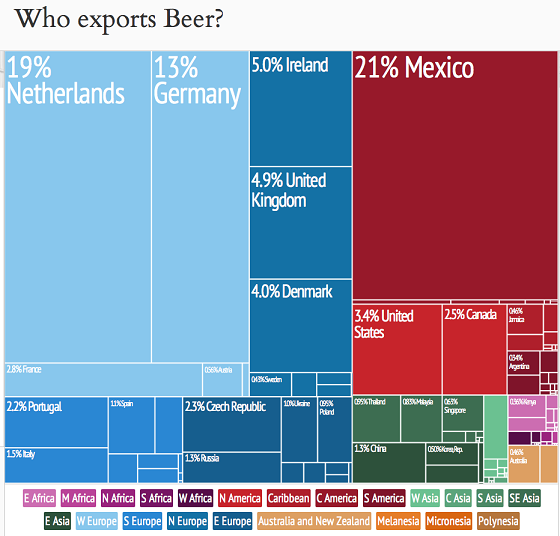 Within the Ale Styles there are (2015) 23 of British Origin, 4 of Irish Origin, 10 of German Origin, 14 of Belgian and French Origin, and 12 of North American Origin. (And more each year). Within the Lager Beer Styles there are 15 of European Germanic Origin, 12 of North American Origin, and 3 Baltic Porters. Hybrid or Mixed Styles have over 23 variations from different origins. 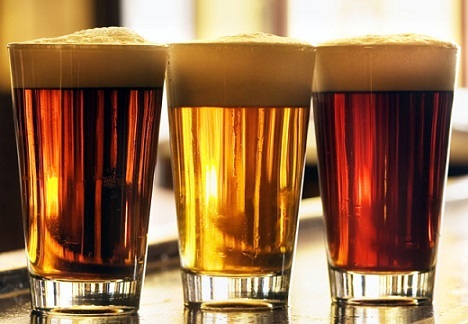 These variations include such beers as German-Style Rye Ale (Roggenbier) with or without Yeast, Fruit Beers, Flavored Malt-Fermented Beverages, Vegetable Beers, Chocolate/Cocoa-Flavored Beers, Coffee-Flavored Beers, Herb and Spice Beers, Specialty Honey Lagers or Ales, Gluten-free Beers, Smoke-Flavored Beer (Lager or Ale) and more specialty beers besides. What this all adds up to is many, many choices, especially when you understand that each recognized variation of a style has a great many brewers doing that particular variation a little differently! This is the revolution I referred to. Wine producers and sellers have done a much better job than their beer-producing colleagues in convincing people that wine is always the best beverage for food and that beer is only suited for the hot dog and pizza I mentioned. Beer producers have only recently paid attention to pairing their hundreds of beer choices with food. The result is that most people have never given any thought to matching the beer they buy with the food they eat. Most people don't realize that beer is a far more versatile than what they have previously understood. Beer now brings a giant range of flavors and aromas to the table. And with our eating habits changing and with far more interesting and diverse foods available, it is time to think about beer as a viable beverage option. 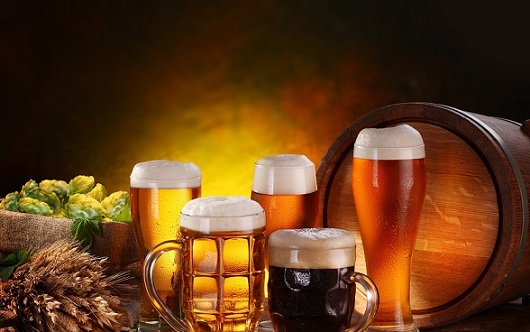 While it is certainly not necessary for anyone to understand about beer's brewing process in order to enjoy a beer, a little bit of knowledge can certainly enhance the experience. Page two of this article describes the brewing process and "matching" in general. With beer, a little knowledge can go a long way in explaining the flavors and aromas in different styles of beer. Making yourself more aware helps you understand about beer and why you enjoy some beers more than others. Brewing Beer - How it's done. Read the next article about beer. Need a little help? Need an organized way to approach this subject? Craft.com is a website you need to visit. This Brewers Association website has a 60-page digital manual that is free to download. The manual is a four-day course that offers an introduction to the beverage of craft beer, pairing beer with food and how to pour and present beer at the table. A fifth day is an optional test. Again, here is a direct link to the manual. A FREE download! My husband's beer cellar! (Kidding). 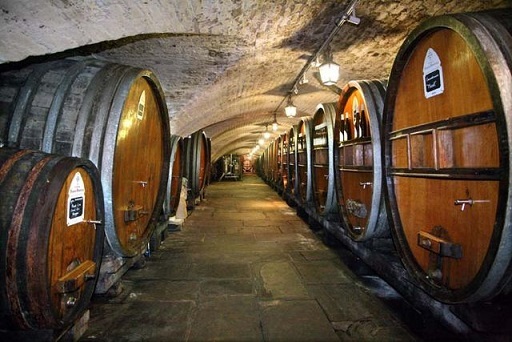 In this cellar, a barrel of the vintage 1472. Thanks for the visit! Enjoy this information about brewing beer. It will help you enjoy a cold one ...really! In much the same way, the human brain can only operate as fast as the slowest brain cells. Excessive intake of alcohol, as we know, kills brain cells. But naturally, it attacks the slowest and weakest brain cells first. In this way, regular consumption of beer eliminates the weaker brain cells, making the brain a faster and more efficient machine! That's why you always feel smarter after a few beers."